No matter where you turn you are going to hear about how something is hurting the environment or how it is at least drastically changing the environment. As our society continues to grow in leaps and bounds changes are going to happen, sadly, there is really not much we can do to prevent change. However, as a responsible society there are things that we can do to help limit the damage that we are causing, all we have to do is be a bit more aware of how our actions are going to affect our environment. One of the biggest problems, but not one of the most talked about problems, our environment is faced with is overfishing. And every year it seems the numbers get worse. Many people simply think that when we overfish the waters we are simply reducing the number of fish in the ocean, they don’t think about the role that these fish play in the fragile ecosystem that makes up the ocean. Just like on land the ecosystem is made up of predators and prey, the food chain works in an order that allows each member of the ecosystem to play a vital role in keeping things balanced. So, when we remove too much of one species, we are inadvertently affecting the species below it. A perfect example of this is how overfishing is affecting the coral reefs. The Caribbean is home to some of the most stunning coral reefs that you will ever see, but sadly they are slowly being destroyed. To help determine what was destroying these beautiful reefs Dr. Joseph Pawlik and a team of researchers surveyed the coral reefs from 12 different countries that stretched across the Caribbean. What this team discovered was that in areas where the fish supply was low because of fish trapping, fast growing sponges were quickly taking over and destroying the coral reefs. In areas where overfishing isn’t a problem, the fast growing sponges were not a problem. In the areas were fishing is prohibited the fast growing sponges were being eaten by predators, such as angelfish and parrotfish. By eating the fast growing sponges only the slow growing sponges were left and those aren’t at risk of taking over the coral reefs. Now overfishing isn’t the only problem the corals face, but it certainly doesn’t make things any better. 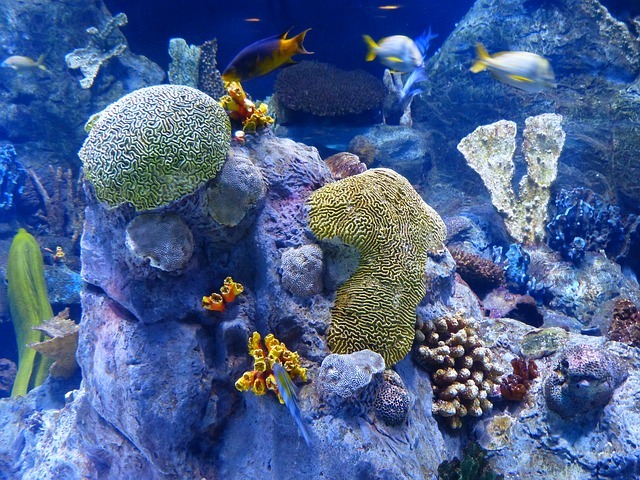 In the Caribbean corals are already at risk because of other external factors, such as an increase in the seawater temperatures, but natural factors like storms and diseases, also plague them. Seaweed also poses a threat to coral and based on several studies seaweed is more of a danger to coral than fast-growing sponges. However, what is interesting to note is that an overabundance of seaweed is often found on the coral reefs where overfishing is not a problem. This actually dispels the theory that fish eat seaweed to help keep the seaweed in check. What we have learned from this study is that the coral reefs need to be protected. To protect these beautiful reefs fishermen must stop overfishing, we need the sponge eating fish to help keep the fast growing sponges in check.